sparklingexpressions offers exclusive, custom made vinyl expressions and graphics for wall decals, vehicles, weddings, crafts, gifts, etc. Glitter Tattoos by sparklingexpressions is great for birthday parties, corporate events, company picnics, company play days, trade shows, sponsored events, conventions, and Fundraisers. 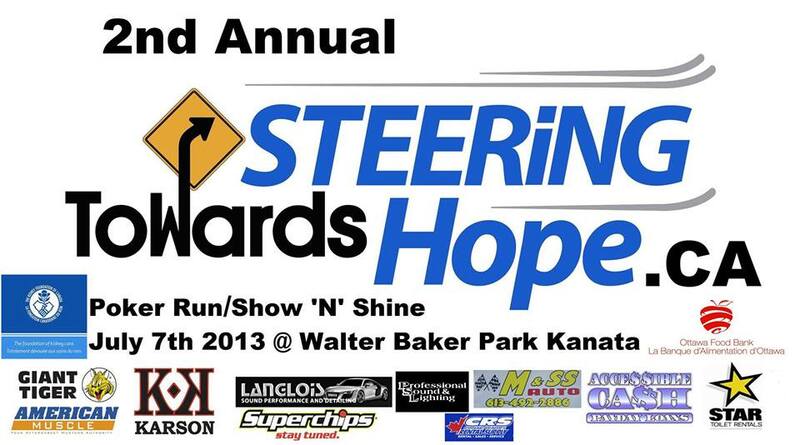 One more day until the Steering Towards Hope Poker Run/ Show N Shine. This family fun event is entering its second annual event, that will prove to be a full day of fun, be it a poker run or a show and shine on site at the Walter Baker Park. If this is not enough to grab your attention then perhaps come drop by to see many of the vendors who will also be taking part in this charity event. sparklingexpressions will be on hand with our glitter tattoos, as well, TEAroma will be sharing our booth and offering up delicious tasting loose tea and iced tea. There will be live bands and music, food vendors as well as a kids zone offering up a splash pad, bouncy castles and much much more. What better way to spend a Sunday afternoon? Not only can you have loads of fun but also be helping others as this event is offering all the proceeds to the Kidney Foundation of Canada to help fund disease research as well as raise awareness of kidney disease. For more information on this event please visit the following link at facebook. For a photo gallery of last years event and for information on registering for the show n shine or poker run please visit Steering Towards Hope. Still need to find some more information on this fun filled car, truck and motorcycle enthusiast event please visit this facebook page. We hope to see you there as this will prove to be one of those fun filled summer events that you just don't want to miss. When? Sunday July 7th at 9am till 5pm. Free admission although if possible a non perishable donation for the food bank would be greatly appreciated. Thank you for dropping by and taking the time to look about our blog. We can also be found on facebook at, sparklingexpressions. As well some of our designs can be found online at our vinyl lettering and decor gallery. Visit sparklingexpressions's profile on Pinterest.